JP 2012-11-14 ¥1,200 ×3 ? US 2012-11-14 $9.49 ×3 ? UK 2012-11-14 £7.99 ×3 ? EU 2012-11-14 €9.99 ×3 ? JP 2012-11-07 ¥1,200 ×3 ? US 2012-11-07 $9.99 ×3 ? UK 2012-11-07 £7.99 ×3 ? EU 2012-11-07 €8.99 ×3 ? 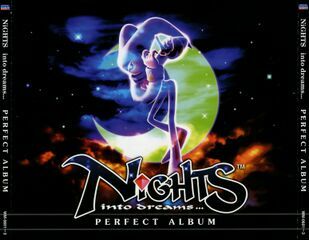 NiGHTS into Dreams: Perfect Album (NiGHTS into dreams... パーフェクトアルバム) is a soundtrack album for NiGHTS into Dreams and Christmas NiGHTS, and was released under the Wave Master label on February 22, 2008. 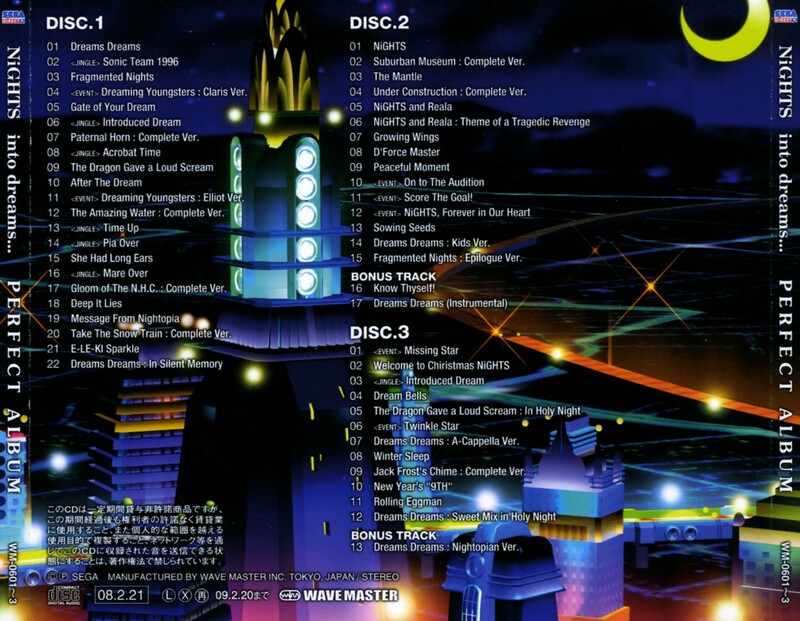 It was also released as a three-volume digital download on iTunes and Amazon in 2012, with individual tracks costing ¥150 (¥200 on Amazon), US$0.99, £0.79 (£0.99 on Amazon) or €0.99 (€1.29 on Amazon) each.